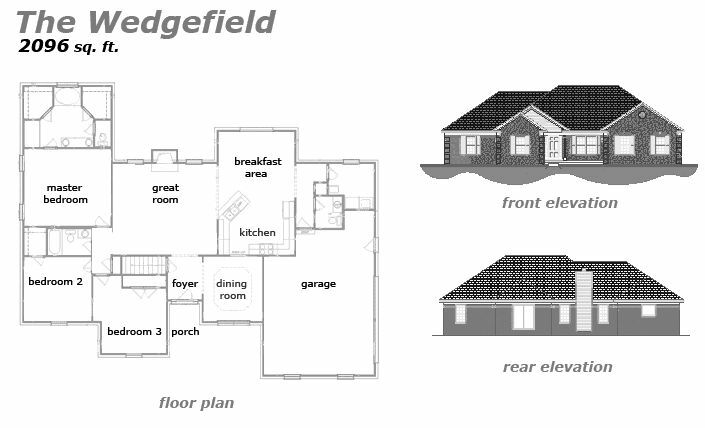 The Wedgefield – 2096 sq. ft. This masterfully crafted home is waiting to be built on your lot today! The open floor plan joins the great room with a fireplace, the kitchen and breakfast area all together, and there’s a private dining room as well. 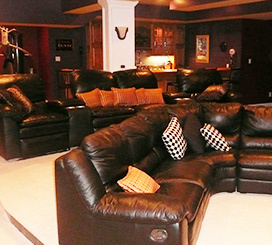 The 2 car garage has a large adjacent area perfect for all those tools and storage. The master bedroom suite has a large private bathroom with a jacuzzi and shower, as well as not one but two walk-in closets! 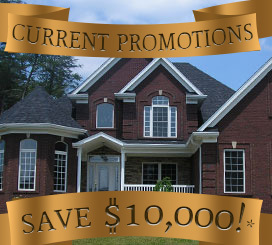 Jeda Homes is a professional builder that delivers quality-built homes tailored to our customers unique styles and tastes. 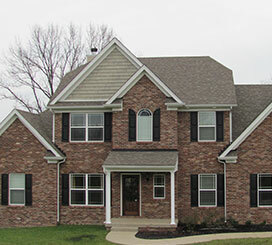 This home and many others can be built on your lot, or if you don’t have a lot we can help select one for you. Our Design Specialist helps you customize these plans and make any changes you’d like, and during construction you are kept involved so you know exactly what goes into making your home. 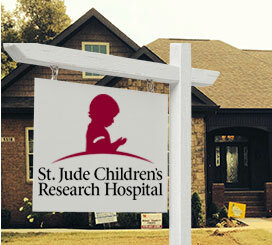 Jeda Homes wants to work with you on turning your dream home into a reality. Contact Us today, you won’t be disappointed!